Experience an Award-Winning Jazz Tradition! Our 26th annual Summer Jazz Workshop is now open to all ages, from 14 on up. The Workshop offers a weeklong intensive and immersive experience for beginner, intermediate, and advanced instrumentalists or vocalists. 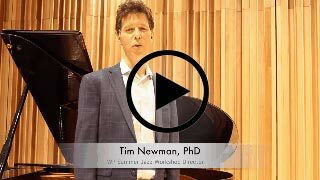 In-depth knowledge of jazz or jazz improvisation is not required. 25th Annual SUMMER JAZZ WORKSHOP for high school and college students. *All participants, both commuters and residents, can take advantage of the University’s practice facilities, food court and cafeteria, and recreational activities. Previous Performing Artists/Clinicians: Dr. Billy Taylor, Clark Terry, Mulgrew Miller, Jon Faddis, Slide Hampton, Vanessa Rubin, Lou Donaldson, David “Fathead” Newman, Curtis Fuller, Byron Stripling, Bob Mintzer, Paquito D’Rivera, Renee Rosnes, Chris Potter, Billy Drummond, Al Grey, Jimmy Heath, Frank Wess, Dafnis Prieto, and Dena DeRose. The William Paterson Summer Jazz Workshop is sponsored by: the School of Continuing and Professional Education, the Department of Music, and the College of the Arts and Communication. For more information and to register, go to the Summer Youth Programs website at www.wpunj.edu/youthprograms. Register for the Summer Jazz Workshop Now!